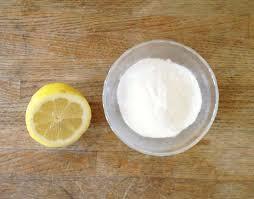 Baking Soda & Lemon Juice: Cancer Cure or Huge Scam? 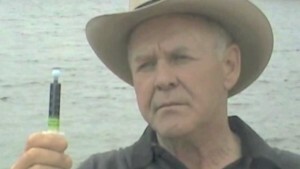 Have you read the latest “miracle cancer cure that Big Pharma doesn’t want you to know about”? Sometimes it seems as if there is a new one every week, but this one certainly caught our eye. Several sites are claiming that simple and inexpensive baking soda, sometimes with or without lemon juice, depending on the site, is the latest cancer cure. Is this true? Could it be that something as simple as baking soda and/or lemon juice is the cure that is in front of everyone’s nose but no one sees? Is Big Pharma trying to keep it a secret because there is no money to be made? Everyone knows cancer is big business, right? Is that why no “cure” has been found? To find out the truth, we need to turn to science and look at the facts. 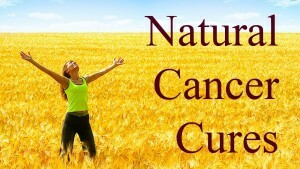 You can find hundreds, perhaps even thousands, of people on social media sites claiming that they were “cured” of a wide variety of cancers by all kinds of “natural” cures. Everything from cannabis oil to apricot kernel oil, raw vegan diets to sunlight therapy. While these all sound really convincing, the truth is that it is impossible to tell whether or not these people were actually cured from their cancer by using any particular treatment. First off, did they actually have cancer? What type? What stage? What other changes did they make in their lifestyle, if any? Many times, people go through a particular cancer treatment (surgery, radiation, and/or chemo) before they start taking cannabis oil or whatever other changes they are making, but they fail to mention it. Why? Because there is no money in saying that the colloidal silver someone is selling might have worked, but chances are that it was the chemotherapy that did the trick. This is why clinical trials, listed with peer reviewed scientific or medical journals, are so important. Personal anecdotes or videos are next to worthless. They benefit no one because they cannot be duplicated and, therefore, used by others. Sour as they are, there is no denying that lemons, like other citrus fruits, are good for you. They are a terrific source of vitamin C, which the body needs to build new skin tissue and support the immune system. They also have potassium, B6, folic acid, and fiber. Some studies are using a photochemical from lemons, called limonene, in trials with humans, to see if it can dissolve gallstones and results look good at this time. 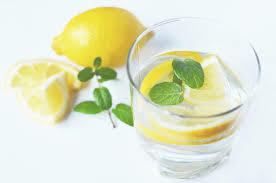 There have been some studies, including this one from the University of Florida in 2002, which found that lemons, like many citrus fruits, might help inhibit breast and prostate cancer in studies done with mice, but take note: the large intestine does not absorb the limonoids that might inhibit cancer. For this to be effective, an extract would have to be created. Another study from Texas A&M, found similar results. All citrus fruits contain limonoids, not just lemons, and that while they might be able to suppress cancer cells, there are currently no studies which show this conclusively. There are no studies showing that lemon juice is “10,000 times stronger than chemo”, or any other magic claim. One last note on lemon juice, (or any other acidic compound), it won’t magically change from being acidic to alkaline once you consume it. If you have ever had indigestion, would you consider eating or drinking lemons to make it better? Of course not. If you don’t believe us, try it sometime. Have some lemon juice in water the next time you have a case of indigestion. That lemon juice will NOT be neutralizing the acid in your stomach. You can’t change the neutral alkalinity of your blood due to process called homeostasis. If you don’t know what this is, you can read about it here. You might have heard that cancer is “always white” and, therefore, is somehow related to fungus. The most common fungus name tossed around is Candida. 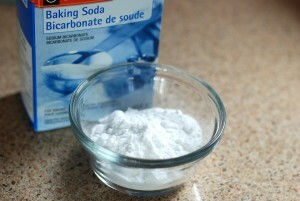 The solution, you are told, is simple – baking soda. It kills fungus! It also kills cancer cells on contact. “Cancer cannot live in an alkaline environment”. You’ve probably heard this hundreds of times. And they are right….kind of. It’s true, in a Petri dish; baking soda WILL kill cancer cells. But it will also kill any other cell you put in the dish. Nothing can live once it is doused with baking soda. Nothing. Also, all cancers are not white. One quick Google search will quickly disprove this statement. (Just don’t do that search right before or after lunch!) So while there is no proof that Candida or any other fungus is the beginning of cancer, there is plenty of proof (going way back to at least 1902) that cancer is our own bodies going a little berserk. This is one of the problems with “one size fits all” cancer “cures”. Cancer has at least 500 known malfunctions within the cells of the body. How can we expect one thing, no matter how natural or cleverly synthetic, will cure it? There is one thing that almost none of these sites will tell you – baking soda can actually be fatal if you consume too much of it. The key to life is moderation. The body is not designed to deal with excessive amounts (or complete absence) of ANYTHING, no matter how “natural” it might be. Sunshine, water, vitamins, food, can all be deadly if we have too much or not enough. The same is true of baking soda. Check out this example of a patient who tried injecting baking soda directly into her breast cancer at an “alternative medicine” clinic. While there are studies being done to see if baking soda could somehow be used in therapy to help cancer patients, there is currently NO SCIENTIFIC PROOF that baking soda can do anything more than relieve the pain of mouth sores and ease indigestion. It has been estimated that, based on the average weight of 150 pound person, that a dose of 12 grams of baking soda would be needed to attempt to counteract the acid produced by a one cubic millimeter tumor! While social media sites are simply drowning in videos and personal testaments about everything from bleach enemas to cannabis oil, none of these are scientific evidence that something works for everyone or anyone at all! If you haven’t done so yet, check out Wikipedia’s excellent list of proven cancer treatments that simply do not work. What about all the cases of people who tried something, but died anyway? You don’t hear about those cases, do you? Why? Because it doesn’t sell. This doesn’t mean that the natural world has nothing to offer us. The truth is that we simply haven’t found it yet. A cure for cancer will probably involve different therapies to suit all the different types of cancer that there are, but until something is proven, it’s just someone’s opinion and, let’s face it, everyone has one, right? If no scientific data 99th en how do you know that it takes 12 grams?